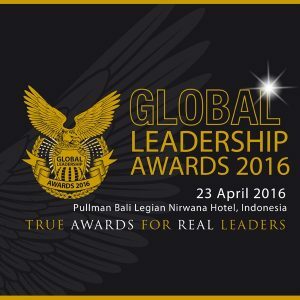 The 6th edition of the Global Leadership Awards 2016 would be held on 23rd April 2016 at Grand Nikko Bali Hotel, Indonesia. This event is jointly organized by The Leaders International, a corporate magazine based in Kuala Lumpur, Malaysia with branch office in UAE and the American Leadership Development Association (ALDA), an NGO which highlights leadership at its best. The awards will further recognize outstanding individuals and global personalities whom have outshines others in their respective fields of trade, commerce and community services. The opening speech by Arthur Carmazzi, ranked as one of the world’s top ten thought leaders in leadership promises to be be exciting and thought provoking. exclusive invitations have been forwarded to global top corporate, celebrities and leaders to join and be part of this glamorous evening of color, charisma and splendor. Among which, some would certainly be of interest to you to network with and be part of this prestigious grouping of social elites. The event is about highlighting leadership, good governance and best industry practices that had taken both local and global corporations to greater heights in achieving visions and missions.